Shopping and finding a cruelty-free, vegan, and natural mascara has been made easier with this shopping guide list! Why natural and organic ingredients matter in mascara? Conventional mascara contains dangerous chemicals and when used daily, these toxins can get into our skin and can lead to all sorts of health problems. Some harmful ingredients that we should avoid in our tube of mascara include: parabens, synthetic dyes, formaldehyde, proplyene glycol, and polybutene. Why cruelty-free and vegan mascara matters? Equally important, we want to make sure our natural and organic mascara isn’t harming any animals as well! 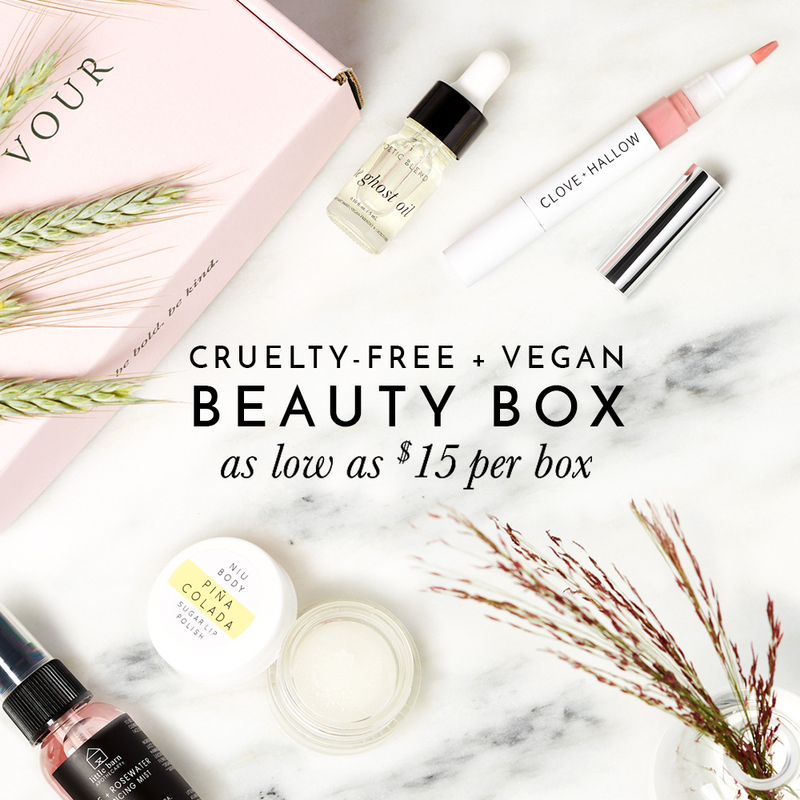 That’s why finding a brand that doesn’t test on animals and a mascara that doesn’t contain any animal-derived ingredients like carmine, lanolin, or beeswax will help to save animals from harm and suffering. Please note: most natural and organic mascara brands contain beeswax as an ingredient, making them not vegan. But the mascaras mentioned below are beeswax-free and 100% vegan! Now let’s get into the list of natural, organic, and vegan mascaras! All the products mentioned below are 100% vegan and do not contain any animal-derived ingredients and do not contain commonly known harsh chemicals and ingredients. They’re also great for those with sensitive eyes or for contact lens wearers. I’ve listed the products below in the order of affordability to high-end. Claims to be a water-resistant and non-irritating formula with vitamin B-5 to lengthen and thicken lashes without clumping or smudging. Enriched with herbal extracts to help protect fragile lashes and encourage growth. Claims to volumize and lengthen lashes to produce a dramatic effect. Long lasting color with a smooth, creamy texture. Natural and gentle formula, suitable for sensitive eyes. This water-resistant mascara claims to give your lashes full-volume and length while leaving out the lacquer, shellac, and alcohol . Contains pure ingredients like natural clay and Flower Cutins coated iron oxides. Claims to be a mild, water-resistant formula for sensitive eyes. Designed to nourish lashes naturally and is resistant to smearing and flaking. Claims to be a volumizing nutrient-rich mascara powered by intense plant-derived Phyto-Pigments for a natural soft look with a non-drying formula leaving lashes clump-free. Claims to be a natural looking mascara that will gently thicken, lengthen and coat each lash with rich, glossy color. Naturally preserved, Phenoxyethanol-free. Made with 100% natural dye. 42% Organic. A natural fruit-pigmented vegan mascara (not to be confused with 100% Pure’s other Ultra-Lengthening mascara that contains beeswax and therefore is not vegan), but this one contains maracuja oil from passion fruit to help give a luscious, lash volumizing mascara formula that won’t clump or flake. Claims to be a natural, nurturing, chemical-free formula infused with Jojoba oil that effortlessly and elegantly coats your lashes without clumping, smudging, or irritating even the most sensitive of eyes. This 3-in-1 mascara + serum + conditioner claims to amplify lash volume and length while nourishing lashes with botanical extracts and plant protein to promote lash health and growth. Designed to add length, volume and nourishment to lashes naturally promoting growth. Have you tried any of these natural and vegan mascaras? If not, which one are you interested in trying out? FYI the Ilia mascara contains beeswax making it not vegan. Hmm.. that’s interesting. I think they reformulated their mascara since the publication of this post and unfortunately, the new formula contains beeswax. The wand also looks a little different so I think this may be an entirely new product and they’ve stopped production of the vegan version. Thanks for letting me know! =) I’ve updated this list and made a note that it’s no longer vegan. hello. i’m looking for a cruelty-free clear mascara that harden up a fair amount and won’t smudge on my glasses. your advice please! thank-you. I was looking at your website for a Cruelty-Free and Vegan Water-Resistant Eyeliner and Concealor. It wasn’t clear if the mascaras under, “Best-Natural-Organic-Vegan_mascaras” are also cruelty free? Can you make a recommendation for a good CF, Vegan and Water Resistant Eyeliner and Concealor? I love Kat Von D’s Tattoo Liner, which is waterproof. Or if you’re looking for one that has more natural ingredients, then I would recommend 100% Pure’s Long Last Liquid Eye Liner.